More and more celebrities are gravitating to Clara Kasavina, award winning designer of evening bags, minaudières, clutches, purses and collectible fashion jewelry. Spotted at the premiere of Quentin Tarantino's new hit film, Django Unchained, was beautiful Nichole Galicia wearing a long, one-shouldered white gown and carrying Clara Kasavina's aptly named Fabby. 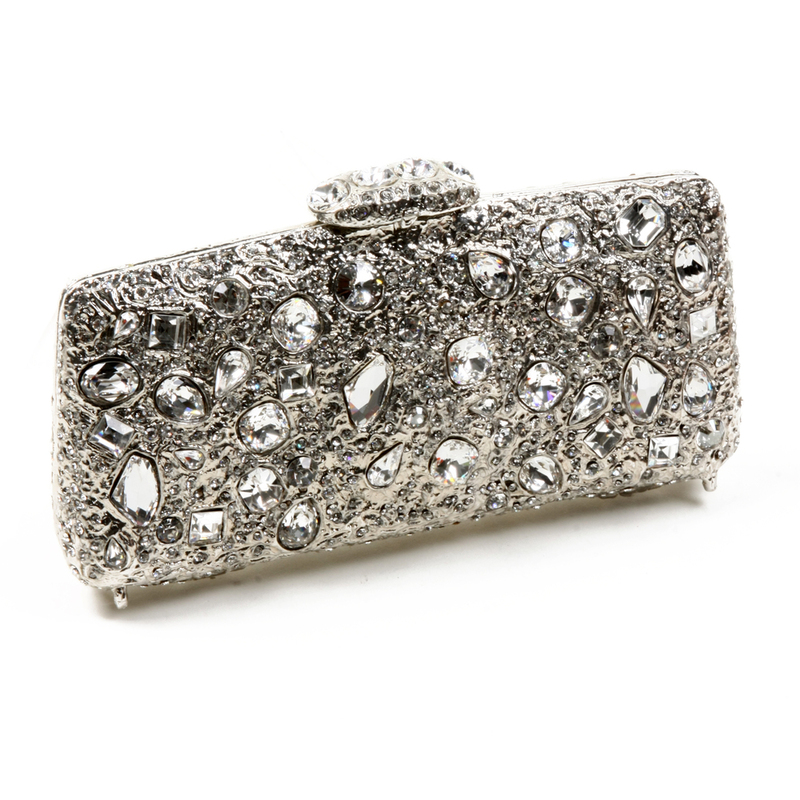 The fabulous Fabby minaudière is a rectangular clutch in silver (it also comes in gold) studded with large, varying-shaped clear crystals. It's the perfect evening bag to wear for a special occasion -- a party, a benefit, the opera -- or dinner with your significant other. Wherever you go, you're sure to turn heads.